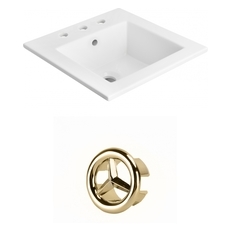 Vanity tops are a clean, elegant solution for a bathroom, giving you both sink and vanity top in one. 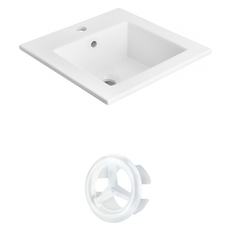 Such fluid vanity top sinks are not only easy to install and extremely easy to clean, but they are an affordable option – while they can be more expensive than regular sinks, the amount you’ll save on a granite or marble vanity top is easily covered in this price. 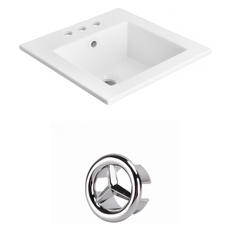 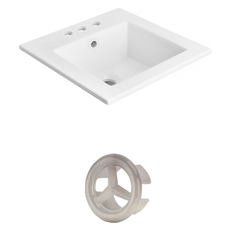 At the same time, the fluid design of the sink retains a sophisticated look for your bathroom. 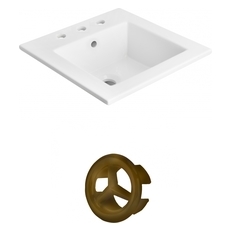 As you shop, make sure to keep in mind the sink faucet and base you plan to install the vanity top on – whether you’ll be using fixtures you already own or plan to get new ones, remember to check that all holes and sizes match each other in the fixtures.